With keyless entry, you can access your (2000-present) Toyota Tundra without needing to be directly in front of one of the doors. If the key fob to your (2000-present) Toyota Tundra stops working, it likely needs to be reprogrammed. When it comes to reprogramming your key fob, you basically have two options: you can either reprogram the device on your own or pay a local Toyota dealer to do it for you. Many Tundra owners consider the dealer cost to be "unreasonably high" in comparison to the amount of work and time required to do the fix, and we agree. That's why it's highly recommended that you at least attempt to complete the programming process on your own before heading out to the dealership for professional service work. Let's get started! Before getting started, check that your key fob is equipped with fresh batteries. As well, make sure the batteries are properly fitted with adequate contact between it and the metal contact points inside the device. Figure 1. 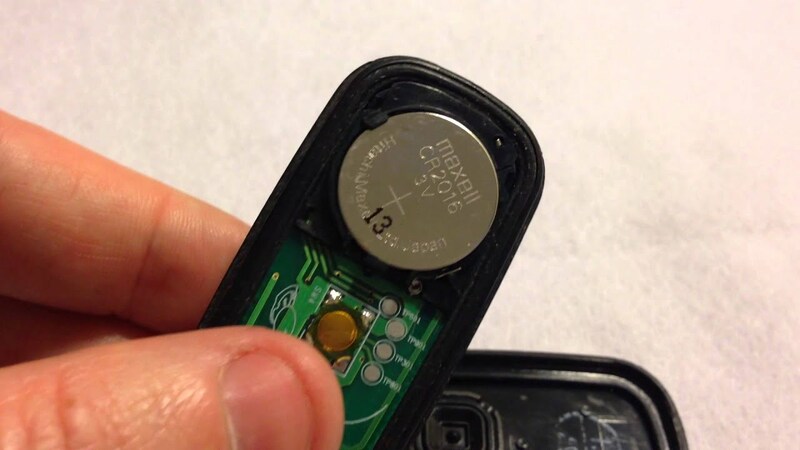 Always make sure the battery is placed correctly inside the key fob. Unlock the driver's side door. Quickly insert and then remove your key from the ignition switch. Using the door control pad located on the driver's side door, press the 'lock' and 'unlock' buttons for five passes; each set represents one pass. Close and then open the driver's side door. Using the door control pad located on the driver's side door, press the 'lock' and 'unlock' buttons once again for five passes; each set represents one pass. Insert your key into the ignition switch and put it in the "RUN" position; repeat twice. Remove your key from the ignition, then wait for doors to lock and then unlock twice. Figure 2. Put your key into the ignition. Take your key fob in your hand and press the 'lock' and 'unlock' buttons at the same time; hold for half a second. Press either the 'lock' or 'unlock' button and hold for one second. Do the same for any additional key fob(s) you wish to program. Wait for doors to lock and unlock for one pass. If the above confirmation does occur, start again from step one. To have your key fob(s) reprogrammed at a local Toyota dealership, it's highly recommended that you set up an appointment for showing up on the lot and to receive the fastest service possible. While prices will vary, you should expect to pay at least $100 to $130 for this service; you will need to pay a programming fee for each key fob that you need reprogrammed. Figure 3. Make an appointment for faster service. Toyota 4Runner, Tundra, and Tacoma (1996-present): Why is My Key Fob Not Working? Toyota 4Runner 1984-2002: Why Does My Alarm Keep Going Off?